The architecture practice is lead designer and architect of the pavilion, working with a multi-disciplinary team including engineers BuroHappold, exhibition designers Thinc, and an advisory group that includes Sir Tim Smit, founder of the Eden Project, and Dennis Bushnell, chief scientist from NASA Langley. 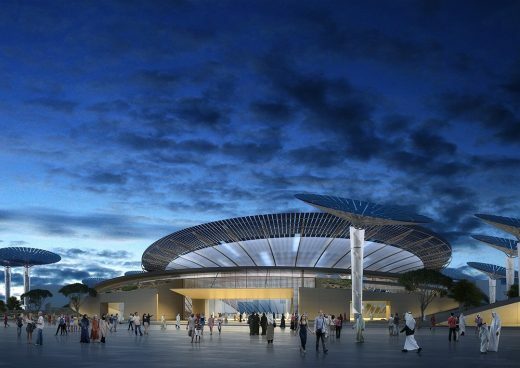 The team are set to deliver an immersive experience that will educate and delight the 25 million visitors expected to attend Expo 2020 for its six month duration. 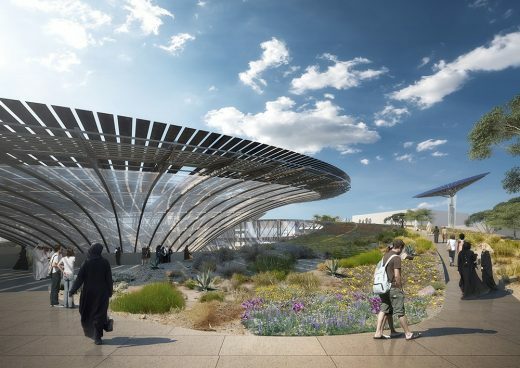 Set to open on 20th October, 2020 the Sustainability Pavilion will be a celebration of ecology, sustainable technologies and design, with an overall scheme that works in harmony with the exhibitions it will house. 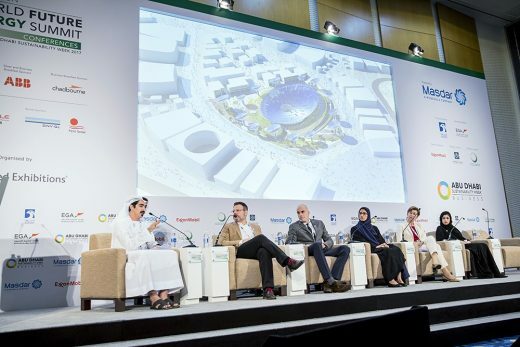 The buildings will be working demonstrations of the effectiveness of solar energy, water harvesting and innovative materials in a context that is unique to the region. Grimshaw’s design for the site includes a core building with 8,000 sq m of exhibition space, an auditorium, courtyard and reservoir. 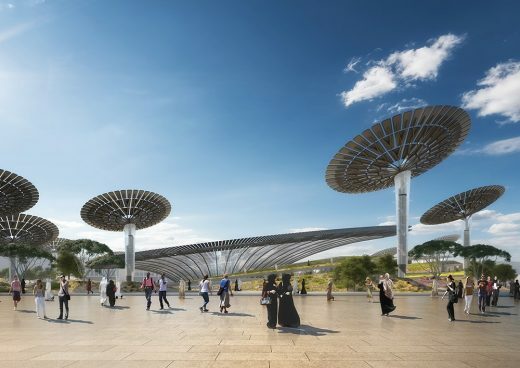 A dramatic over-arching roof structure provides shade over the building, and acts as the nucleus for energy generation with sizable photovoltaic (PV) panels drawing energy from the sun to power the site. 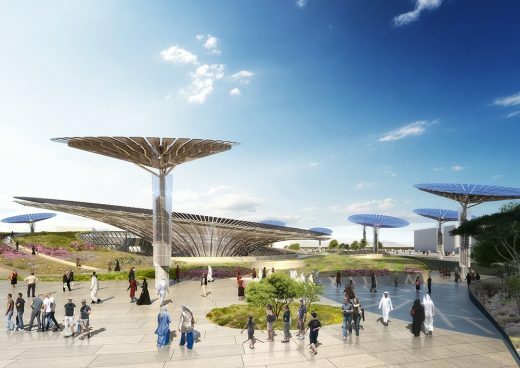 Surrounding the central building are a series of ‘energy trees’ which will track the sun and harvest energy for the pavilion, whilst also generating water from the atmosphere. Landscaping and walkways through the pavilion are inspired by the Wadi riverbeds, providing intuitive navigation. Paths meander around performance spaces, and flora from the region is celebrated as a key feature of the overall exhibition design. Legacy is a core part of the design considerations as the pavilion is a permanent fixture on the site. 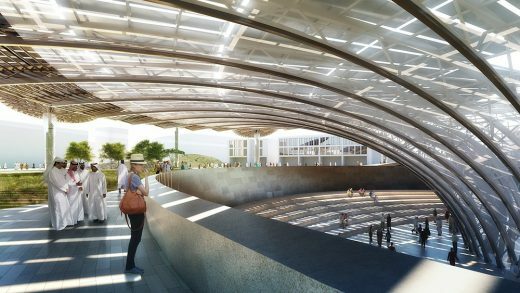 It will continue its planned purpose as a science ‘Exploratorium’ after the megaevent’s closure in April 2021. • Between its opening day on 20 October 2020, and its close on 10 April 2021, we expect Expo to be visited 25 million times. • 70% of all visitors are expected to come from outside the UAE – the largest proportion of international visitors in Expo history. • We aim to create and deliver an inclusive and global Expo with over 200 participants, including nations, multilateral organisations, businesses and educational institutions. • Expo 2020 also has an ambitious volunteer programme, which aims to include more than 30,000 volunteers from a wide range of ages, nationalities and cultures and backgrounds. 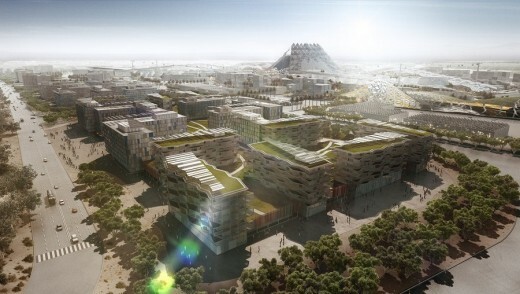 • The Expo site covers a total of 4.38 sq. km, including a 2 sq. km gated area. It is located within the Dubai South District, adjacent to Al Maktoum International Airport. In 1851 the Crystal Palace was the centrepiece of London’s Great Exhibition – the first World Expo. It celebrated the man-made industrial wonders of a rapidly changing world. Architecture, contents and a theme, ‘Industry of All Nations’, coalesced to create a big idea of nations meeting nations in shared technological and commercial progress. In more recent years, participants in World Expos, including governments, international organisations and companies, have gathered to promote their achievements, products, ideas, innovations, their national brand, and their nations as destinations for tourism, trade and investment.